When it comes to translating documents and marketing assets for international markets, it’s not just a question of translating text word for word. In fact, translating text literally can land your brand in hot water as the examples in this post on translation blunders clearly demonstrate! For a successful translation and localisation project we need go into a bit more detail than translating text from one language to another: we also need to look at brand values and how these translate in international markets too. Your brand values – or your client’s, if you’re a creative agency working on their behalf – are an integral part of a company’s identity. If you’re in the early stages of expanding into overseas markets, it’s most likely that your brand values will reflect how you operate in the UK. Your values may not appear to be country-specific, but you may find that they don’t resonate as strongly in your target markets as they do here in the UK. Apple is great example of this. In the US and UK the ‘I’m a Mac I’m a PC’ adverts (from 2006) were well received because they played on the brand’s identity for being fun, playful and hedonistic. However, in Japan there was a disconnect between these brand values and key Japanese cultural values such as conformity and a strong work ethic. The key differentiating factors that Apple played with meant that Japanese customers were actually more sympathetic to the PC’s character than the Mac’s. Not the response they were looking for! This shows how important it is to evaluate your brand values and how they translate in your target market before embarking on any translation project. In the example above, Apple’s brand values backfired because they were not a cultural fit for the target market. However, it doesn’t have to take such a big disconnect for a marketing campaign to fall flat. Some values may not be ‘wrong’ in the target market, but they may just not be as relevant in that market as they are in the UK. Therefore highlighting these values in adverts or marketing content is less effective as consumers in that country do not prize them. Typically, values like benevolence, universalism, achievement, and self-direction translate across borders. Whereas hedonism, power, individuality, etc. may not be as effective in certain regions. Any company that is interested in becoming a global brand should be looking at ways to simplify their brand values so that they translate globally. Alternatively, you could look to dial up or down specific values to reflect the target market. What you need is transcreation! While translation agencies are not branding experts, we do know a thing or two about different global markets and how translated content works – or doesn’t – in those regions. To start with, a translation agency can carry out linguistic analysis by assigning professional, native-speaking and in-market linguists to evaluate your brand values and marketing collateral, and provide insights into how effectively they translate. With this information it’s possible for your creative and marketing teams to adjust original content accordingly. You’ll then need to call on your translation partner to help you with transcreation. Transcreation combines translation skills with copywriting and localisation: Taking a strapline, key message or creative copy and translating and adapting it so that it works effectively in the target market. Transcreation experts are native language speakers and have in depth knowledge of the target market, creative copywriting, and your industry. It’s a tall order to find such highly skilled individuals, but they’re out there, and we know who they are! For an example of how this works in practice, and for the German speakers amongst you, compare the German version of our corporate video below with the UK version here. We assigned several of our German linguists to review our UK video, provide feedback on how effective it would be for German customers and then adapt and translate the script accordingly, considering the recommended style and tone. Whether you need translation services for a corporate video, product marketing content, or for translating a website – transcreation is an important part of the process. 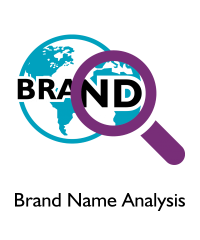 Creating global brand values will ensure a consistent brand image and positioning across international market, standardising your brand; it’s the most cost-effective approach and will reduce incidences of brand values not translating in different markets. This is true when looking at how to manage marketing translations and transcreation too. By centralising translation services by working with one translation partner, they will ensure consistency across your global brand adapting those brand values for each market. To find out more about transcreation for global markets click here. If you work for a creative agency with international clients and would like to discuss transcreation in more detail, and partnering with a translation service provider please get in touch.